As I shared in this post, I am participating in the 2015 United Airlines New York City Half Marathon to benefit The Leukemia and Lymphoma Society and honor my friend Mary Jane. 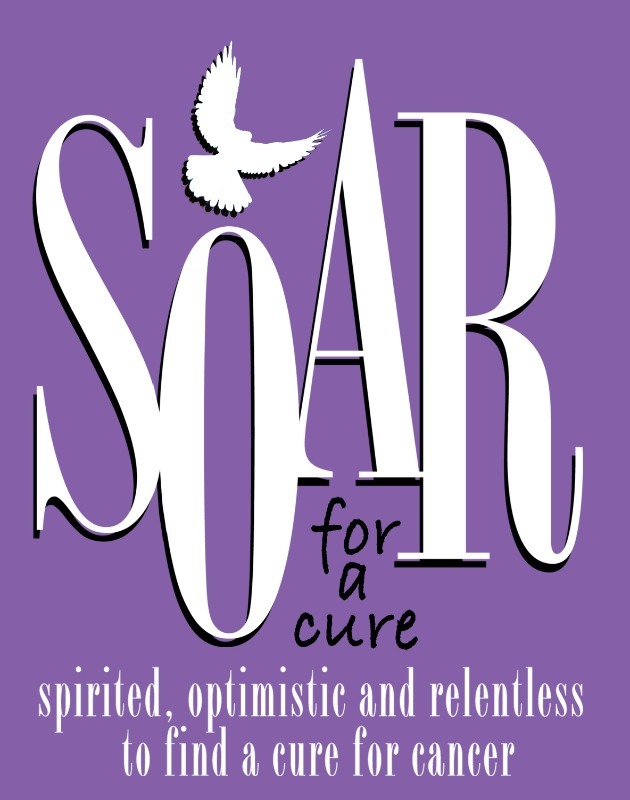 I will be a part of Team SOAR. Today I am going to break down that logo as I share my efforts to secure funding to help find a cure, support those currently living with blood cancers, and spread advocacy. 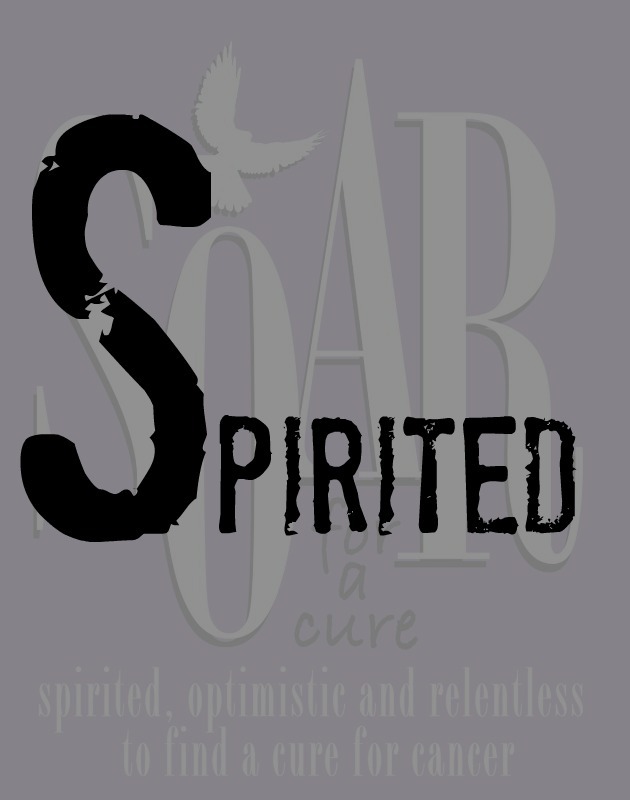 The “S ” in SOAR stands for “spirited” and we’ve got spirits, yes we do! I am excited that details have been finalized regarding the Tequila Social to benefit the Leukemia and Lymphoma Society (LLS)! Join me at Madison Social on 2/7/15 at 6 pm or 7:30 pm for tequila flights, tasty food offerings, friendship, and the knowledge that you are helping this awesome cause (Madison Social is generously donating a portion of the proceeds to LLS). As the “voice” of The Optimism Light, you can bet the “O” for “Optimistic” means something to me! 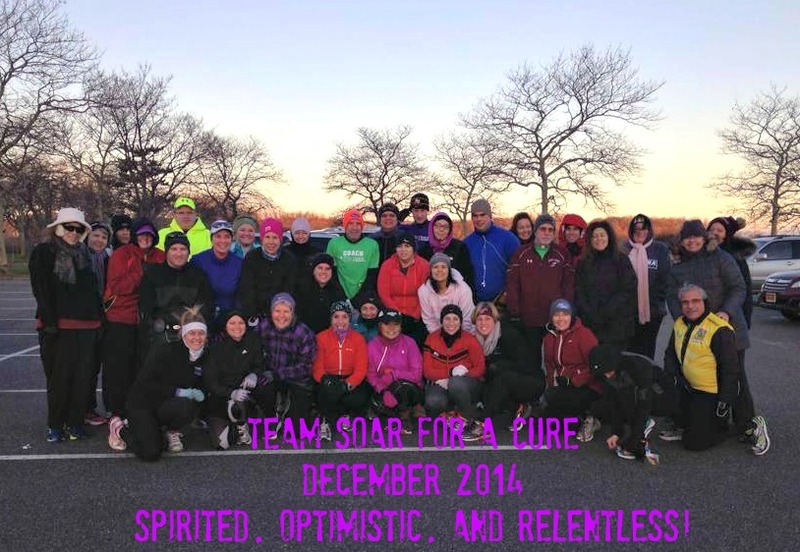 While I do not know all of the members of Team SOAR yet (I am one of the few team members who does not live in or around Long Island), I see their training. I see their spirit, I see the fact that despite the challenges that blood cancers bring, they face the future with optimism (as well as a heaping supply of love). Are you wondering what I am going to do for AND? Don’t worry, I have a plan!! We have spirits, optimism, AND other ways to contribute! There are still spaces available in the Be My Valentine Couples Circuit Class at 10 am on 2/7/15 (details at Badass Fitness) $10 will get you a workout and fun! Also, for every $5 donated from now until the sheet is full, you get a square on my Superbowl Squares sheet. Whoever matches the half time score gets $100 and whoever matches the final score gets $100. You can donate here and I’ll confirm that I’ve entered your squares! Finally, relentless. Mary Jane is not the only friend I have who has had to look cancer squarely in its ugly face and decide whether to succumb or choose to fight, relentlessly. 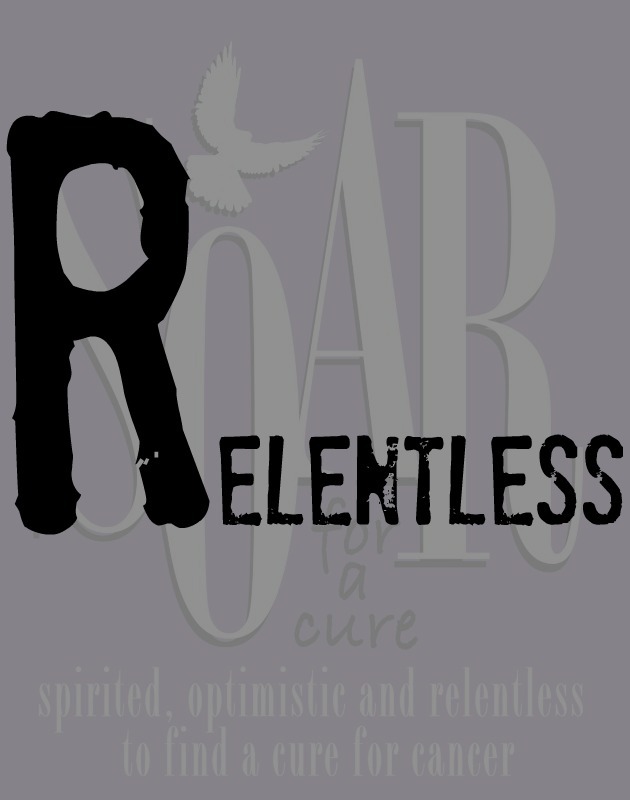 For her, for my mother, for the legions of children, adults, relatives, and strangers who have been affected by cancer, I choose relentless. Even though I won’t meet most of these people in person until March, I am proud to be SOARing with this team (and looking at this picture, I’m not so sorry my training is in Florida!). I appreciate any support you can give! 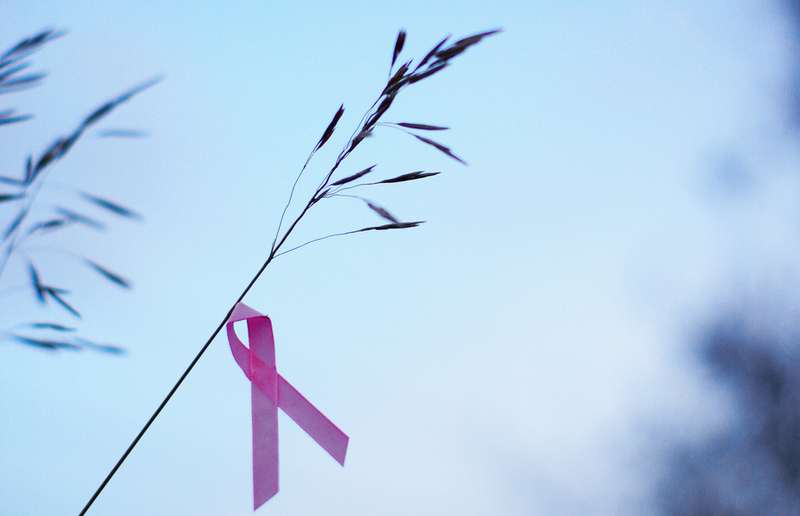 The Cancer Color of October is … not always PINK. It is October, and pink predominates pretty much everything because October is Breast Cancer Awareness Month. Breast Cancer Awareness Month is important to me because I am the daughter of a survivor and have seen countless friends, acquaintances, and fellow humans (women and men) be diagnosed with this disease. Some are (blessedly) still alive and thriving; others have passed away. As a woman, I face a 1:8 chance of being diagnosed with breast cancer at some point in my life. Therefore, for selfish reasons research should be supported. However not all “pink” is effective “pink,” and there are many other causes out there of which we need to be aware and for which we need to take action. I am wearing a lot of pink this month, and having been a multiple-year captain at Making Strides Against Breast Cancer, I am in full support of many efforts to raise awareness of breast cancer and fundraise toward support and research. Here in Tallahassee, October 2014 is fully in pink bloom, with many of our city’s leaders and brightest lights leading the way. However, it is important to know that not every product robed in pink does much good and to make well-educated purchasing decisions. It is also important to respect the connotations all that pink carries for people currently dealing with breast cancer, either for themselves or a relative. Sarah Thebarge writes eloquently of the evolution of her feelings about pink as a color representing breast cancer here. She also wrote a superbly useful list of 31 Ways to Help a Friend Who Has Breast Cancer (visit it here) which goes beyond wearing pink. But Paula You Said This Post Wasn’t Just About Breast Cancer! It’s not. I want to encourage you to add some “blue” to your October observances (I know, now it’s feeling baby shower-ish up in here, isn’t it?). My friend and former coach, Jeff Kline, has stage 4 prostate cancer. 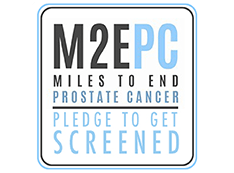 Jeff has devoted October to running across the United States with a goal of motivating men to get screened (his point is that if he had done a simple screening a few years ago, his cancer would have been caught at a time when treatment would have been simpler and the prognosis would have been much more hopeful). One of Jeff’s initial blogs about his diagnosis and decision to run cross country is here. 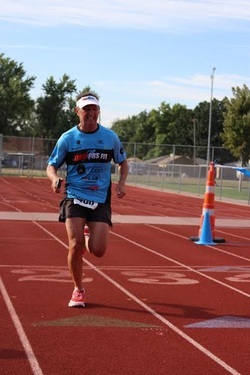 Jeff and a team of supporters are running the Marine Corps Marathon on October 26, 2014, to raise funds for ZERO (an organization dedicated to ending prostate cancer). Got it: PINK, BLUE, and … GRAY? I have had this “pink and blue” post planned for weeks. One individual’s story presented itself to me via friends, though, and it is important (and time sensitive) to add it here. Andy Nichols is the brother-in-law of a friend (as she puts it “the brother of my heart.”). Andy has an aggressive glioblastoma brain tumor, which is in the same family of brain tumors as the one my friend Dustin had. When I learned that Poplar Head Baptist Church is holding a 5K race in Blountstown on October 11 in Andy’s honor (to help with expenses not covered by insurance as well as raise awareness), and that his friends wanted help getting the word out and generating as much participation as possible, I knew in a heartbeat that I would be heading west that day. If you are here in North Florida, please consider coming over to Blountstown and participating in the race. You can register via this link. Andy and his family chose the “I have hope” phrase to symbolize hope for a cure for ALL forms of cancer, not only brain cancer. 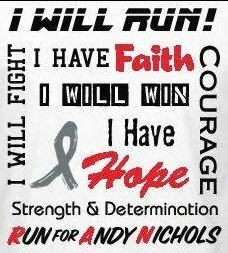 If you are not able to participate in the 5K or mile Fun Run, but would like to show your support by purchasing a t-shirt, sponsoring the event, or making a donation, you can contact Tiffany Nichols at run4andy@gmail.com or Clint White at 850-643-8584. So Many Causes … Where Do I Go From Here? 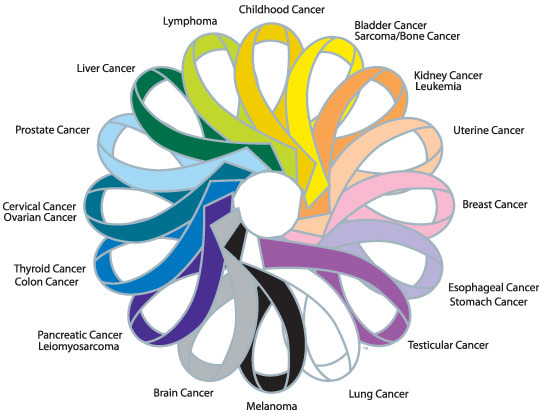 This graphic is from www.crochetforcancer.org. In a sea of choices, the best recommendation I can make is the same one I would make if you were drowning in a literal sea: clear your head, get your bearings, look for the surface, orient yourself toward the shore, and take action. Your action may be donating funds, running in a race, running for a cause (hello, Charity Miles and Stand Up 2 Cancer! ), or simply telling someone who has cancer “I am here for you” or asking their family what you can do to help. Whatever you choose, don’t for a minute let yourself believe that your contribution is too small or won’t matter. 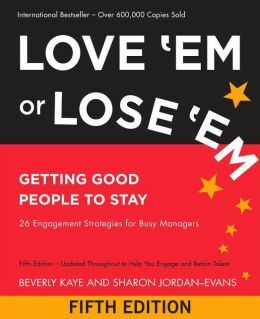 I am happy to share my thoughts on Love ‘Em or Lose ‘Em: Getting Good People to Stay by Beverly Kaye and Sharon Jordan-Evans. I find it so fun that the concepts in this book are presented as “ABCs” of leadership. For instance, “A” is for “Ask” which reminds leaders to ask themselves, “Do you know what they really want?” The book leads us through “D” for “Dignity” (In how many ways do you show you respect them [your employees]? ), “P” for “Passion” (Do you know what gets them up every morning?”) through, finally, “Z” for “Zenith” (How will you sustain your commitment to engagement?). I could write an individual post on each letter of the alphabet and its related leadership parallel, but based on the comments to my post last week, I think it’s best to expound tonight on the idea that money isn’t the primary reason people stay at an employer. One of the first exercises I participated in when I began the Certified Public Manager program was one that focused on ranking my personal values. Once I had done that, the group compiled all of their responses to this exercise. Although our “number ones” differed from one another, in almost all of the cases, “money” or “salary” was five, six, or lower. Most attendees were surprised at this answer. 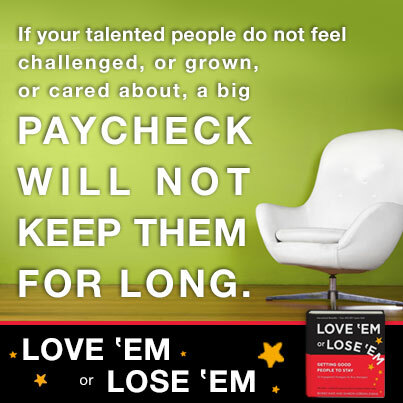 In this book, Kaye and Jordan-Evans cover the topic of pay in the “A” for “Ask” chapter. They note that “pay” is number seven on a list of reasons people give for staying in their organizations (exciting/challenging/meaningful work is number one)*. This is certainly true for me. You know those people who say, “going to work doesn’t feel like going to work because I love it so much”? There’s something to that. I see it in the acting community … in the people who show up, completely for free, to volunteer on a set, to be an extra, to do a favor for a producer who needs a certain line said or role played. Sure there are actors who make big money, but in many cases I dare say they would do most of what they do for free, just because it brings them joy. It’s why I get up early and connect via Twitter as “The Optimism Light.” It’s why I write blog posts for various causes I love, not because I get compensated financially but because it brings me joy to “connect the dots” between people, causes, and themes. What keeps you at an employer? If you are a supervisor, what strategies have you found to ascertain what makes employees “tick”? It is good to have money and the things that money can buy, but it’s good too, to check up once in a while and make sure you haven’t lost the things money can’t buy. *For the complete “what kept you” survey data, visit www.keepem.com and click on the “What Kept You” link. I received a complimentary copy of Love ‘Em or Lose ‘Em for the purpose of this review. The opinions expressed here are my own. Likewise, I am a frequent visitor (and checker-inner) at “The Longest Light in Tally” (the intersection of Capital Circle and Apalachee Parkway). I view this checkin as a little “we’re all in this together” nod of commiseration to my fellow Tallahassee Drivers who endure plenty of time at this intersection. Because of my route to work, the Capital Circle intersection I can guarantee being at daily is the intersection of Capital Circle and Mahan Drive. The light is not quite as long as the two mentioned above, but it’s a major intersection that typically found me fretting about how late I was to work, how I was going to get everything done that I had committed to, how I was going to overcome the problems big and small in my life. It was yet another place to give in to worry and anxiety. And, you know, I would be lying if I wrote, “and if no one else ever checked in here, that would be fine – I created this for myself.” Honestly, I want others to check in there (and I appreciate those of you who have). It’s why I tweet the checkin every time and post it to Facebook. Around 50,000 cars pass through this intersection every day. You could argue that taking two seconds to give your fellow driver a break or say a quick prayer/intention (whatever your faith tradition) for someone else is not even a drop in the bucket. 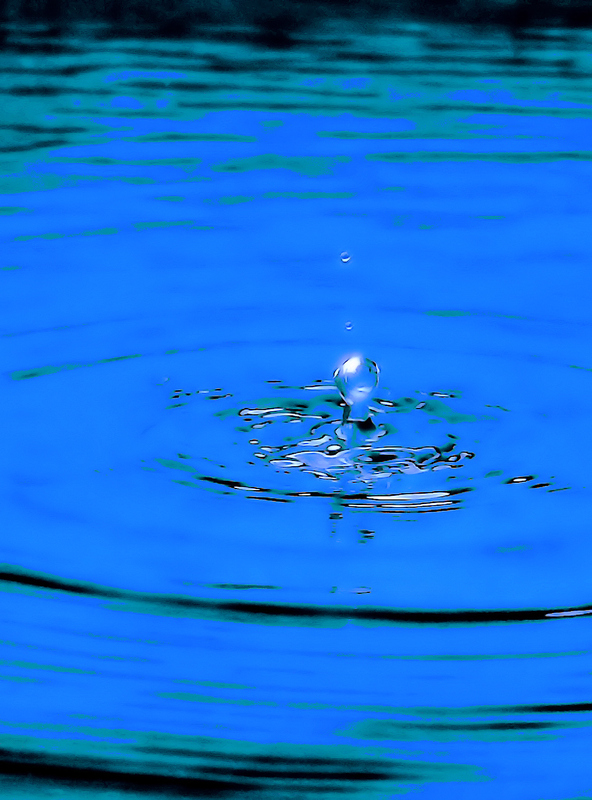 But, in my opinion, 50,000+ drops could create some waves of tranquility. And in a world where it’s all too easy to make waves with sarcasm and vitriol, waves of optimism surely couldn’t hurt any of us.